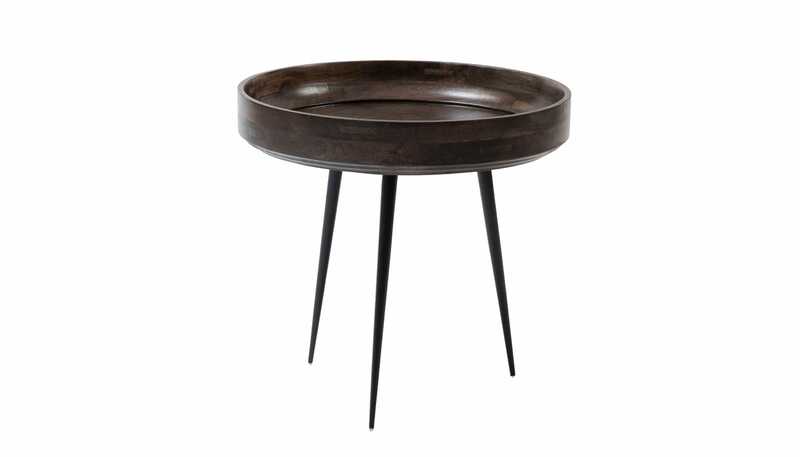 The minimal aesthetic of Scandinavian design is beautifully realised through masterful Indian craftsmanship to create the Bowl small occasional table. 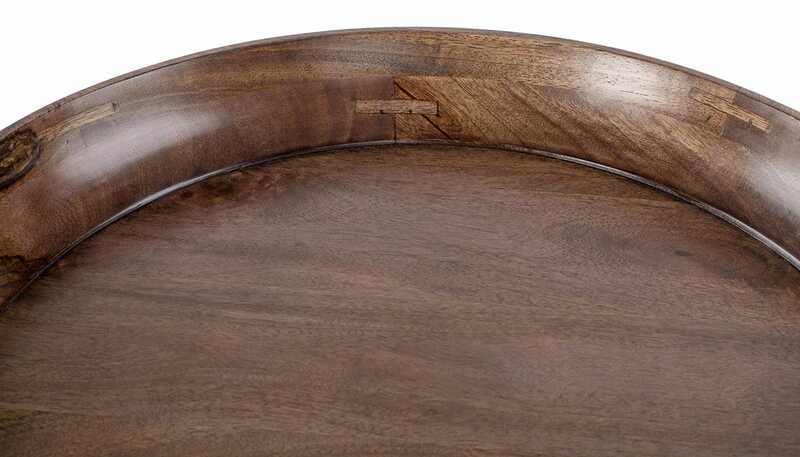 Designed by Ayush Kasliwal for Danish brand Mater, the Bowl range showcases and supports the traditional skills of the Kharadi, a community of wood turners based in India. 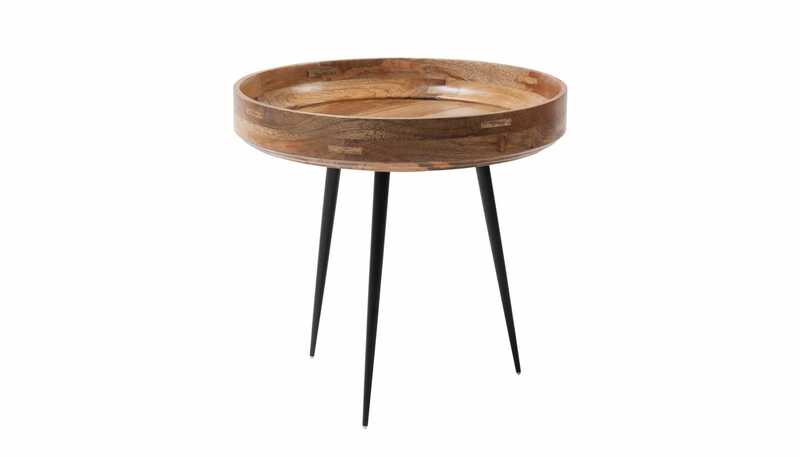 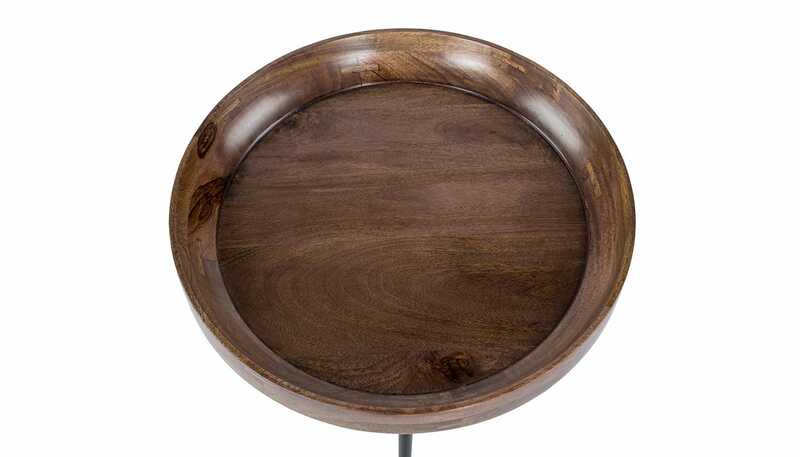 Each table is made from sustainably harvested mango wood that is lathe turned to create its elegant lipped design. 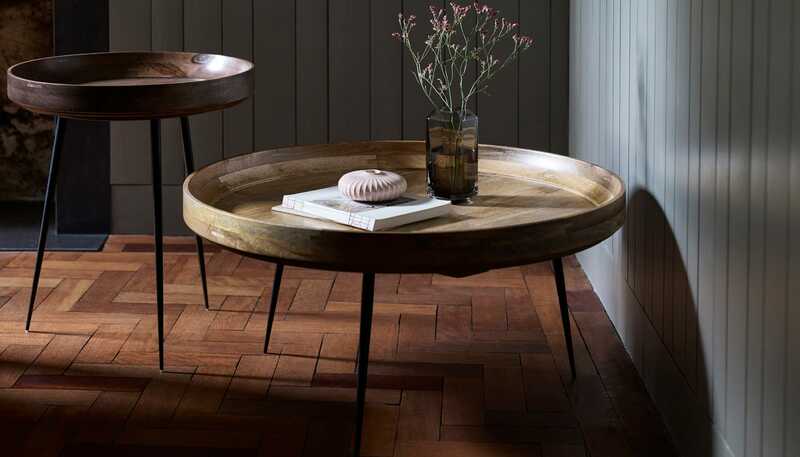 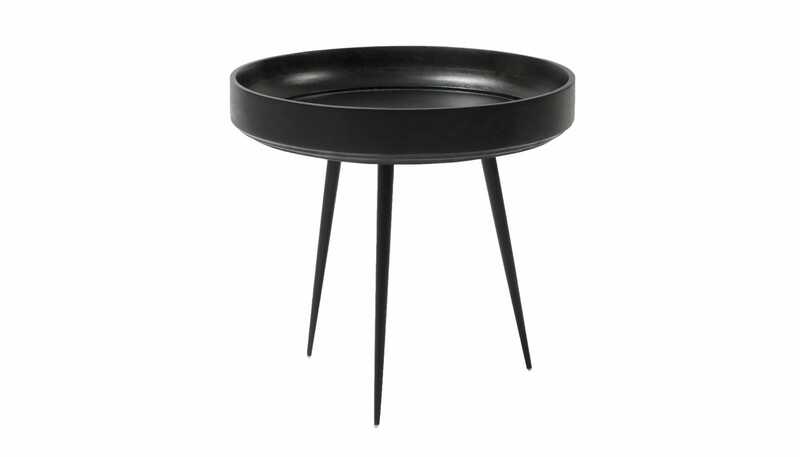 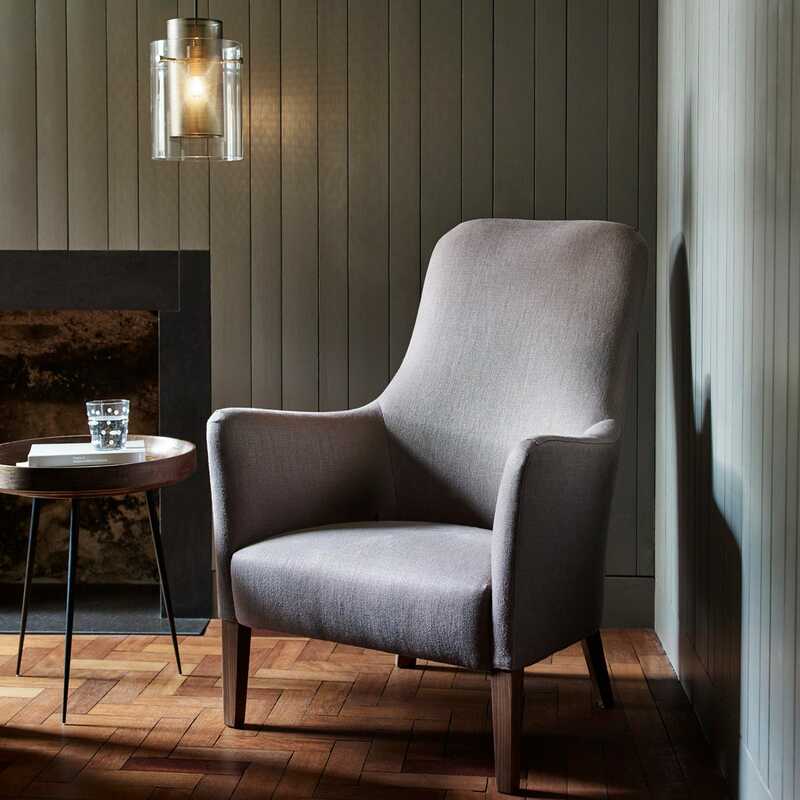 Supported by tapered steel legs, the Bowl range comes in a range finishes and sizes that look striking alone or in groups. 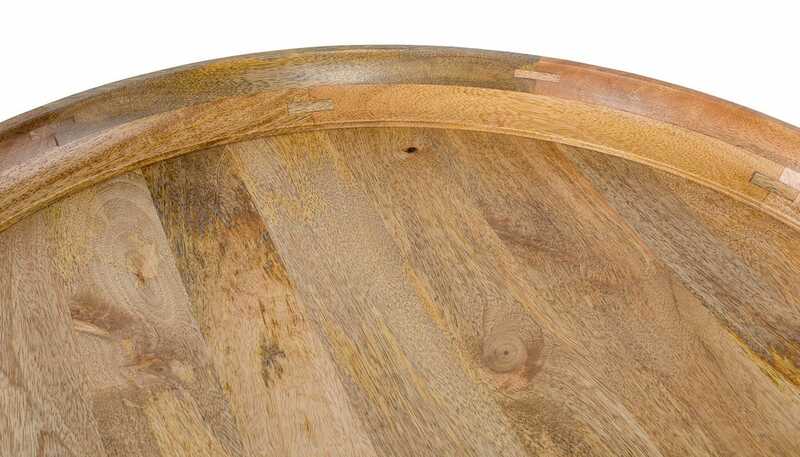 Finishes include natural mango, black stained mango and a smoked grey mango - achieved by natural mango having a grey wash applied, the natural colour giving a smoky finish.